Exclusive Klein-designed Pass-Thru™ modular plugs for fast, reliable connector installations for and data applications. Cable easily passes through connector for consistent and secure termination. Saves time, trims flush to end face when used with Klein Tools Pass-Thru™ Modular Crimper VDV226-110, and eliminates wasted materials. These CAT6 connectors meet or exceed all Power over Ethernet (PoE) standards. 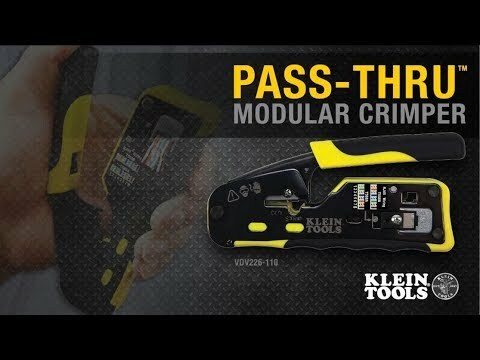 Use with Klein Tools Pass-Thru™ Modular Crimper, VDV226-110.